If your Second Amendment rights are being infringed upon, you are charged with a crime that involves a gun or knife, you are being sued for defending yourself from an aggressor, or you were victimized by someone wielding a gun or knife, you should consider hiring an aggressive attorney who has a healthy appreciation for the Second Amendment to the United States Constitution. You want an attorney who not only understands weapon laws, but who knows how to use weapons and how they operate. Attorney Kyle Bristow has been licensed by two states to carry firearms concealed and is a member of both the National Rifle Association Attorney Referral List and the Armed Citizens’ Legal Defense Network. Since learning how to shoot a pellet gun at the family cottage during his childhood years, he has become a firearms enthusiast and now owns two pistols and two AR-15 rifles. Mr. Bristow has conducted trials that raise the affirmative defense of self-defense, he challenged the constitutionality of city ordinances that criminalize the discharge of firearms and the concealed carrying of knives, he wrote a scholarly paper about the right to keep and bears arms while attending law school, and he has assisted clients in seeking criminal record expungements and weapons disability relief, which allows them to regain their right to keep and bear arms after a criminal conviction. Prohibited conduct that can be punished by fines, imprisonment, or death are codified by municipal ordinances and state and federal laws. If you are being investigated for or are charged with a crime, you should exercise your right to remain silent and should immediately and privately consult with a criminal defense attorney. If you used force to defend yourself or others from an aggressor, do not describe what happened to anyone until you speak with an attorney. Second Amendment-related statutory and case law frequently changes, so it is important to immediately consult with an attorney if you are being investigated for or are charged with a crime. Probation violation, parole violation, civil protection order violation, and community control violation. If force is used against a person, the person who used force may be sued for assault, battery, intentional infliction of emotional distress, or other torts. A tort is a wrongful act, for which the law provides a remedy. One can be both criminally prosecuted and civilly sued for using unprivileged force. Ohio and federal law prohibits certain people from having firearms. See R.C. § 2923.13 and 18 U.S.C. § 922. If you have been convicted of a crime that prevents you from having a firearm, you may be able to get the disability removed by having a lawyer seek a criminal record expungement or relief from weapons disability. Ohio’s laws that regulate the carrying and ownership of weapons are contained in R.C. §§ 2923.01 et al. To lawfully carry a firearm concealed in Ohio, one must have a valid license that is recognized by the State of Ohio. Except as specifically provided by the United States Constitution, Ohio Constitution, and state and federal law, no governmental entity can infringe upon a citizen’s right to own, possess, purchase, sell, transfer, transport, store, or keep any firearm, part of a firearm, firearm components, or ammunition. R.C. § 9.68. Pursuant to R.C. § 9.68, municipalities and agencies can be civilly sued for infringing upon firearm rights. The Michigan State Police Department has a page on their website that delves into Michigan's firearm laws. 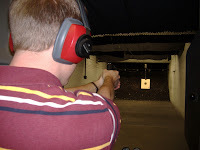 Michigan's firearm laws can be found in Section 28 of the Michigan Compiled Laws. Michigan and federal law prohibits certain people from having firearms. See MCL 750.224(f) and 18 U.S.C. § 922. If you have been convicted of a crime that prevents you from having a firearm, you may be able to get the disability removed by having a lawyer seek a criminal record expungement or relief from weapons disability. The expiration of 5 years after all of the following circumstances: (1) the individual has paid all fines imposed for the violation resulting in the prohibition; (2) the individual has served all terms of imprisonment imposed for the violation resulting in the prohibition; (3) the individual has successfully completed all conditions of probation or parole imposed for the violation resulting in the prohibition.